Today, Canonical, the company behind Ubuntu, announces that Canonical’s Distribution of Kubernetes (CDK) is now commercially available and supported on processors and servers based on 64-bit Arm® v8-A architecture. The data centre is evolving to support new workload requirements, it is transforming to be optimised for workloads such as: 5G, the internet of things, edge computing, and the cloud. The shift is one that Arm and Canonical’s server ecosystem partners have been carrying out with Ubuntu. Canonical and Ubuntu were first with a server OS for 64-bit Arm architecture, and first to release Openstack and CEPH for 64-bit Arm. “Compute is moving to a more distributed model and by combining Canonical’s Distribution of Kubernetes with Arm Neoverse’s scalable technology, we’re enabling the delivery of a high-performing, flexible infrastructure where developers can independently scale components for maximum efficiency,” said Philippe Robin, Director of open source, Infrastructure Line of Business, Arm. Canonical works in close partnership with Google, the pioneers of Kubernetes, and Arm to offer a pure upstream version of CDK that is tested across the widest range of clouds and systems; from public clouds, to private data centres, from bare metal to virtualised infrastructure. New workloads require a shift in architecture to one that is more agile, software-defined, and able to support transformational technologies. The shift to a widely distributed model, where the data centre is no longer purely in the centre, but distributed, closer to the data and compute nodes. This move requires servers to be located in places with fewer physical resources (heating, power, cooling), but importantly, it also demands that the software stack is not reinvented. Arm-based platforms are particularly well suited to these new environments and the addition of Kubernetes allows for the management and use of the same stack of containers and applications that are being run from the datacentre, but in a distributed edge location. 5G requires agile and scalable software, coupled with connectivity that is low latency, and at greater speeds to deliver next-generation experiences to users. With targeted latency reductions up to 50x, targeted throughput increases up to 100x, and targeted increases in the number of connections up to 100x, the underlying networking and computing infrastructure must transform to fill these “pipes”. Canonical’s distribution of Kubernetes on 64-bit Arm provides a strong foundation that developers can use to build those next generation low latency and high bandwidth applications that push computing to the edge. As those latency sensitive 5G applications and services come to market, today’s datacentres are facing an inherent limitation with centralisation. This is driving compute closer to the edge, where both the data is collected, processed and consumed. This shift presents power and space limitations on the systems in the edge datacentre, while also demanding higher performance, greater compute density, and the ability to scale better in response to elastic demand and shifting workloads. 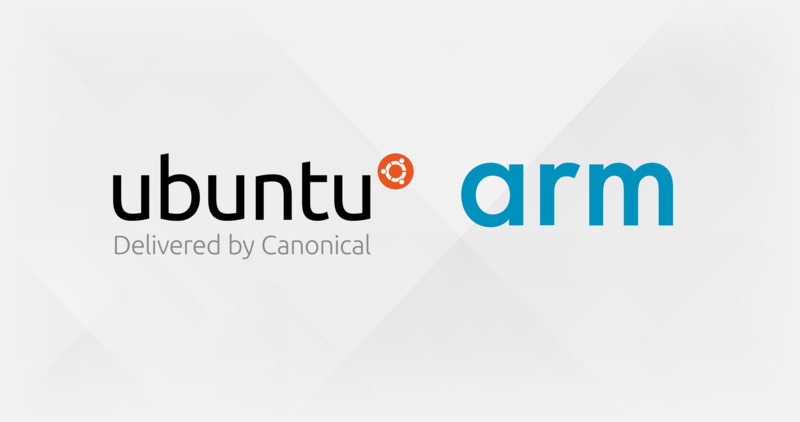 Arm and Canonical are partnering to ensure that platforms and software are ready to face the edge computing challenges with 64-bit Arm-based systems tailored to the physical resource-constrained environments and the robust/same secure Ubuntu server OS along with Kubernetes that developers rely on today. Those developers are the reason why Canonical’s Ubuntu is the leading OS for cloud operations – public and private. Canonical works with AWS, Azure, Google and Oracle to optimise Ubuntu guests for containers on those clouds. Canonical also works with Google GKE to enable hybrid operations between enterprise deployments of Kubernetes and the Google SAAS offering. Get started today with Canonical’s Distribution of Kubernetes or contact us and we can help set up and manage it for you! The post Canonical’s Distribution of Kubernetes supported on Arm architecture appeared first on Ubuntu Blog.